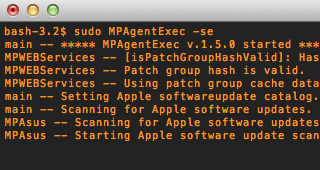 An open source management suite for large Mac OS X environments. 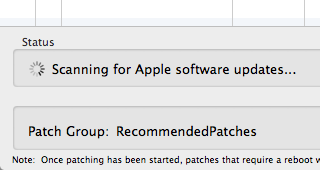 Deploy Apple and third party patch content. Collect inventory data such as admin accounts, installed apps, FileVault status, and more. 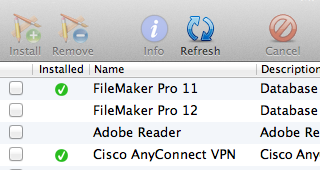 Users can self install software from your list of approved packages. No admin required. Easily deploy additional servers as the size of your deployment grows. Settings such as scanning and patching schedules can be customized. The entire code is available on GitHub. End users can install software from a catalog that you manage. No admin required. Create multiple catalogs for different sets of users. You can create multiple patch groups. 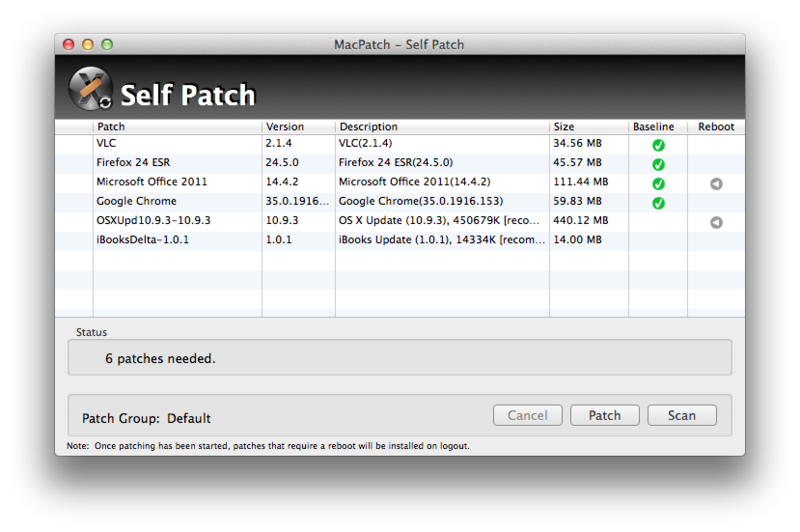 Each patch group can be configured with a different baseline. For example create one patch group for your servers and one for desktops. Most features can be accessed from the command line for remote administrating and scripting.